Despite considerable efforts to reform our state and nation’s laws regarding the possession, consumption, and sale of controlled substances like marijuana, cocaine, heroin, methamphetamine, oxycodone, and others, the “War on Drugs” is still alive both in California and across the country. One particularly problematic crime is that of so-called “drug conspiracy,” under which a person may be accused of a serious criminal offense even though they took no action toward the commission of a drug crime. 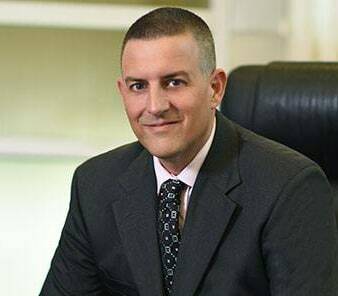 Knowledgeable Riverside and San Bernardino County drug crime lawyer Gregory H. Comings devotes his entire legal practice to criminal defense work. This includes helping people who have been accused of drug conspiracy, as well as drug trafficking and other crimes related to narcotics. The idea behind conspiracy laws is simple. They make it illegal for two or more people to agree to commit a crime if even one of them commits an “overt act” in furtherance of the agreement. Importantly, the act itself does not necessarily need to be a crime, and any member of the original agreement – not just the person who committed the overt act – can face charges. Exactly what constitutes an overt act can be quite case-specific, but generally it does not need to be a major step. For example, in order for there to be a conviction for conspiracy to cultivate marijuana, it is not necessary that the overt actor take all of the steps necessary to actually grow cannabis in order for the people with whom they have “conspired” to commit the offense to be found guilty of a drug conspiracy. As with other drug crimes, such as meth crimes or heroin crimes, there are sometimes defenses that can be of assistance in avoiding a conviction on a drug conspiracy charge. Depending upon the circumstances of the alleged conspiracy and the defendant’s arrest, a constitutional defense like a confession obtained in violation of the defendant’s right to remain silent or right to counsel may apply. Alternatively, there may be a defense specific to the crime of drug conspiracy. The sooner that you contact an attorney about your state or federal drug crime case, the sooner that your attorney can begin investigating the case and looking for ways to defend or exonerate you. Skillful defense lawyer Gregory H. Comings can help with a drug conspiracy case anywhere in Riverside or San Bernardino County, as well as elsewhere in the surrounding areas. For a consultation to discuss the charges that you are facing, call us at (951) 686-3457 or contact us online. Together, we can approach your felony or misdemeanor case as aggressively as possible. We will also be as honest and realistic as we can with you. We are proud of helping our clients move forward from their lives after a criminal charge, and we will use our experience and knowledge to fight hard for you in state or federal court.